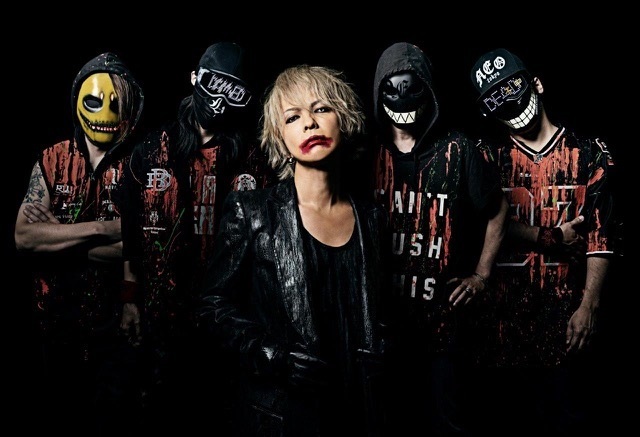 HYDE–the lead vocalist for two of Japan’s biggest rock bands, L’Arc~en~Ciel and VAMPS–announced today, Tuesday, January 22, he’ll release a new album in Spring 2019. HYDE and his band are set to join In This Moment for a series of U.S tour dates beginning May 7 in Louisville, KY and wrapping-up May 24 in Kansas City, MO. 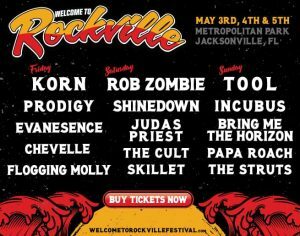 The group will also perform a handful of U.S. festival shows this year, including the Welcome to Rockville Festival in Jacksonville, FL on May 5 and Epicenter Festival in Charlotte, NC on May 11 (see all dates below). Tickets go on sale this Friday at 10am local time. HYDE’s other rock band VAMPS, has previously performed on U.S. tours with artists such as, I Prevail, Starset, SIXX:A.M., Danzig and has played at some of the biggest U.S. festivals, as well as headlined several South American tours in Chile, Argentina, and Brazil. VAMPS’ 2017 album, UNDERWORLD was produced by GRAMMY-award winner Howard Benson and Kane Churko. It features several high profile collaborations with Richard Kruspe of Rammstein, Apocalyptica, Chris Motionless from Motionless In White, and Man With A Mission bassist, Kamikaze Boy. The band achieved notable newcomer success in the U.S. in 2017 with hit singles, “Inside Of Me” and “Calling.” VAMPS won the SiriusXM Octane poll for “Best New Artist” in a landslide twice and UNDERWORLD received strong support from Spotify and Apple Music, leading to several songs being featured on some of the biggest curated playlists.